RBTH Asia is the Asian edition of Russia Beyond the Headlines, an internationally recognized source of political, business and cultural news and analysis dedicated to Russia. Russia Beyond the Headlines has published monthly supplements in leading media in Asia. 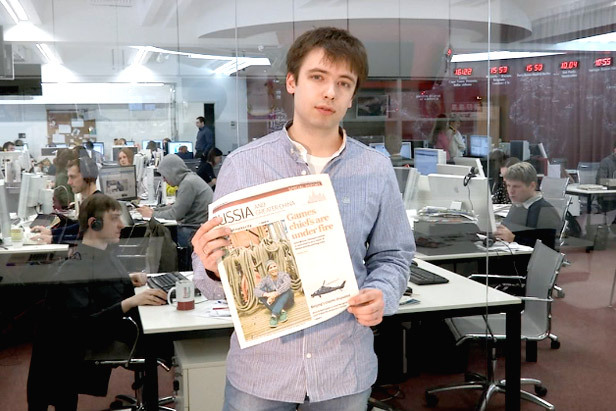 This time editor Gleb Fedorov speaks about the recent issue of Russia and Greater China, delivered to readers alongside with the South China Morning Post (China, Hong Kong SAR). In addition to the print supplements, Russia Beyond the Headlines Asia Edition maintains a website, www.rbth.asia, which features expanded content and resources.